The Direct Print Gypsy mat is constructed of a looped vinyl surface and features a digital 4 color process imprint. It is backed in a heavy-duty vinyl base for superior resilience and wear. The looped design traps dirt and promotes a safe, nonslip floor. 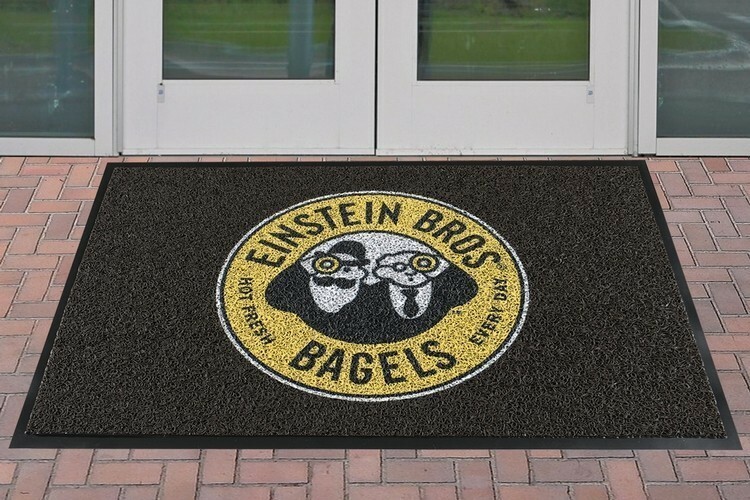 With its rugged construction and weather resistant characteristics, this outdoor mat is essential for maintaining clean, safe floors. Overall mat thickness is 3/8". Made in USA.